About | C. W. Eisner Inc. Established in 2005, C.W. Eisner, Inc. is a full service interior architecture and design studio specializing in tailor-made residential projects. 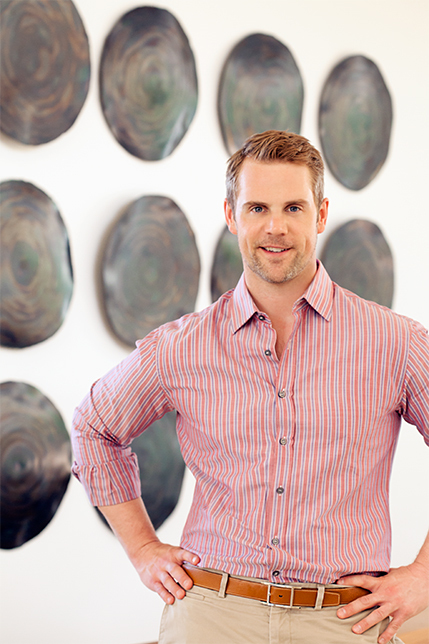 The studio is led by Chad Eisner, a classically trained interior architect and designer. While conceiving the studio’s diverse interior projects, which have ranged from an urban loft to a beachside family home, C.W. Eisner, Inc. bases each project on the client’s lifestyle, thus providing a truly custom experience. The studio offers a rare blend of timeless interiors grounded in luxury, while capturing environments that are warm and comfortable. Before establishing C.W. Eisner, Inc., Eisner began his career in Miami working for Rene Rodriguez Designs on projects in Florida, Europe, and throughout the Caribbean. Upon returning to his native Southern California, Eisner worked for the famed Los Angeles interior design firm of Michael S. Smith, Inc. on interior projects and product design. Prior to beginning his own studio, Eisner was the Creative Director for Greg Jordan, Inc. overseeing a staff of 25 in New York and Los Angeles while managing projects in Napa, Palm Beach, and Martha’s Vineyard. C.W. Eisner, Inc.’s current projects include a 40,000 square foot Mediterranean inspired villa in the Hollywood Hills, an upper east side Manhattan apartment, and an ocean front beach house in Malibu. The studio’s projects have been featured in House Beautiful, Elle Décor, Veranda, LUXE, C Magazine, and California Homes. C.W. Eisner, Inc.’s work has also been published in Hearst Books House Beautiful The Home, Book and Gibbs Smith Fortuny.